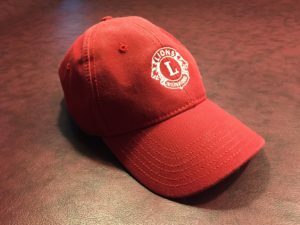 The Panorama Lions Club is a philanthropic organization that contributes time and raises money to help the community in a variety of ways. We provide college scholarships to local deserving high school graduates, support and send disabled children to the Texas Lions Camp, furnish eye glasses to needy school children, and support the Leader Dog Program for the blind and disabled. We contribute to the local food bank, donate books to area schools and needed equipment to the Panorama Village police and fire departments, and support many more causes important to the community. We do all of this through fundraising events such as the holiday flags displayed in front of many Panorama homes on designated holidays, and other events, such as our July Fourth hot dog stand and the Panorama Lions Charity Golf Tournament in March. The Panorama Lions Club has been in existence since 1971 and we are part of Lions Club International, established in 1921. We meet the second and fourth Wednesday of every month at 7:00 pm in the clubhouse. Visitors are invited to attend any meeting. Call Membership Chair Bob Lamons at 713-828-7000 or President Royce Engler at 936-217-9733 for more information.